The Elementary Curriculum at All Saints Catholic School runs from Kindergarten through grade five. St. Mary’s campus is the home of our Preschool through fourth grade classrooms. Located at 768 Ohio Street in Bangor, this campus fosters not only the academic excellence expected, but also maintains a strong religious connection with St. Mary’s Church located on the same campus. 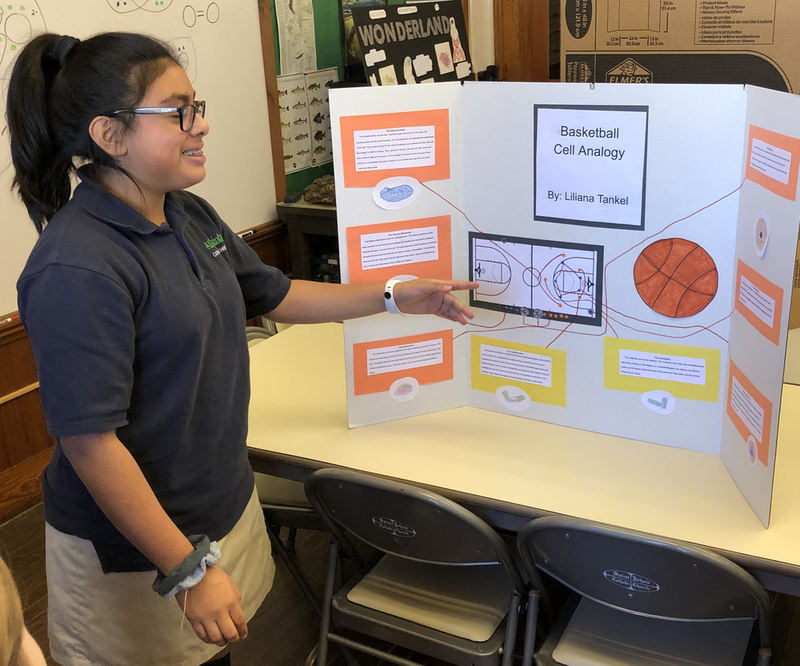 Students at All Saints Catholic School engage in vigorous academic studies, attend Mass weekly on Wednesdays at St. Mary’s Church and have the opportunity to excel in Spanish, Art, Music, Technology and Physical Education. When students move on to fifth grade, they transition to St. John’s Campus, located at 166 State Street in Bangor. Students continue their academic studies and attend Mass at St. John’s Church located on York Street in Bangor. Beginning in fifth grade, our students all have the opportunity to participate in school sports throughout the year. At All Saints, middle school begins in grade six (6) and goes through graduation in eighth (8) grade at our Saint John’s Campus on State Street. During these three years, students prepare for high school by studying math, science, Spanish, language arts, and social studies. Students who excel in math are given the opportunity to learn at a higher level, with some entering high school taking courses above their grade level.